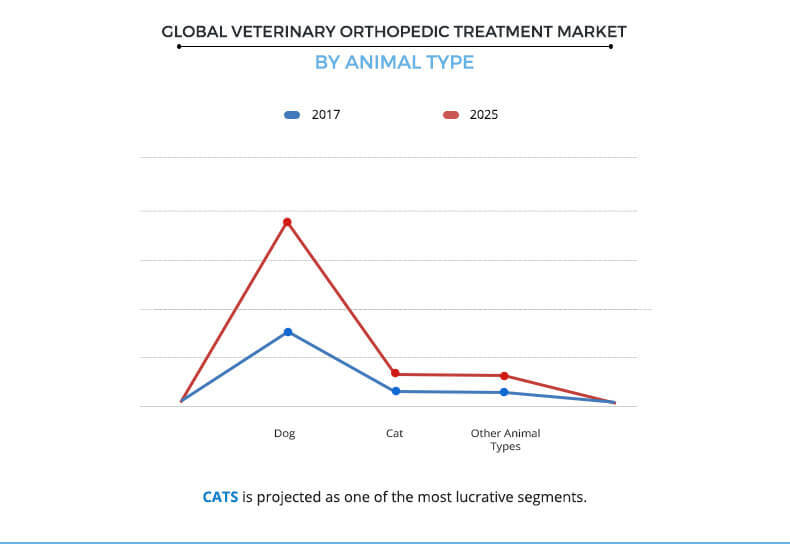 The global veterinary orthopedic treatment market was valued at $94,708 million in 2017 and is projected to reach $153,612 million at a CAGR of 6.2% from 2018 to 2025. Animals commonly suffer from different orthopedic conditions that result in abnormal movement, instability, lameness, and others. Orthopedic conditions such as hip dysplasia, elbow dysplasia, patella luxation, and others require a surgical procedure for the treatment of the condition. The treatment involves the administration of drugs along with the use of devices during the surgical procedure. The growth of the global veterinary orthopedic treatment market is majorly driven by increase in ownership of companion animal across the world. Other factors that boost the market growth include rise in number of obesity cases in pets and growth in animal healthcare expenditure. However, factors such as high cost of surgeries and lack of animal health awareness hamper the market growth. Conversely, advancements in therapeutics and diagnostic products and no requirement of government approvals for veterinary devices are expected to provide lucrative growth opportunities for the market. The global veterinary orthopedic treatment market is segmented into procedure, animal type, and region. Based on procedure, the market is divided into cruciate ligament tear, patellar luxation, hip dysplasia, elbow dysplasia, bone fracture, and osteoarthritis management. 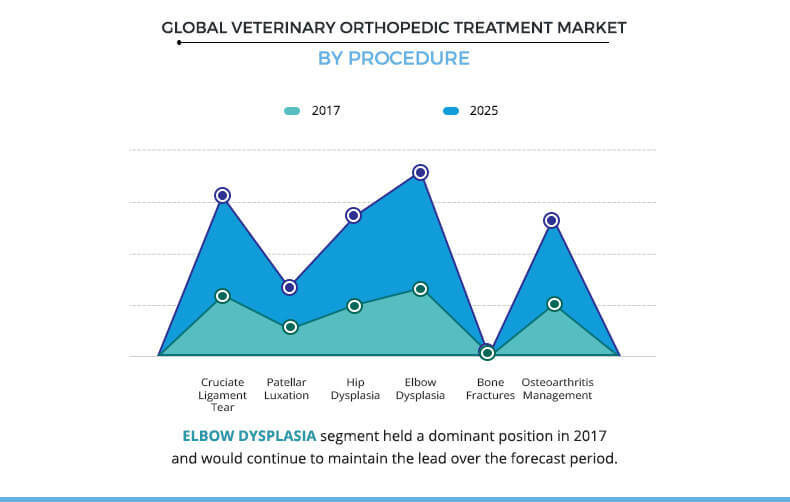 Elbow dysplasia segment accounted for the largest market share in 2017 and is expected to continue this trend throughout the forecast period. On the other hand, bone fractures segment is anticipated to grow at the highest CAGR during the forecast period. Based on animal type, the market is divided into dog, cat, and other animal types. Dog segment accounted for the largest market share in 2017 and is expected to continue this trend throughout the forecast period. On the other hand, cat segment is anticipated to grow at a high CAGR during the forecast period. Rise in pet ownership coupled with increase in awareness regarding animal healthcare drives the growth of the veterinary orthopedic treatment market in the LAMEA region. In addition, the market growth is driven by upsurge in animal healthcare expenditure owing to rise in disposable income. However, certain strict policies related to keeping a pet in rented apartments may hamper the growth of veterinary orthopedic treatment market in this region. The key players profiled in the report include Adobe Animal Hospital, Allandale Veterinary Hospital, Boca Park Animal Hospital, Broadleys Veterinary Hospital, Goddard Veterinary Group, Mars, Incorporated, Northwest Veterinary Specialists, The Animal Medical Center, School of Veterinary Medicine (University of Pennsylvania), and Upper Canada Animal Hospital. The other players in the value chain include Airpark Animal Hospital, Adams Animal Hospital, and Palo Verde Animal Hospital. These players have not been profiled in the report but can be provided on request. The study provides an in-depth analysis of the global veterinary orthopedic treatment market with current trends and future estimations from 2017 to 2025 to elucidate the imminent investment pockets. 7.3. Boca Park Animal Hospital. 7.10. Upper Canada Animal Hospital. Orthopedic condition in animals can be congenital or could occur due to trauma, obesity, and other reasons. The treatment for every condition is different and may include a surgical procedure in severe cases. The treatment through surgical procedure requires the use of medical devices to support or replace the damaged joints. The treatment also requires the use of certain drugs with the aim of reducing pain and inflammation. There are different orthopedic conditions such as cruciate ligament tear, patellar luxation, elbow dysplasia, and others, which require surgeries for their treatment. Upsurge in the ownership of companion animals majorly drives the growth of the global market. 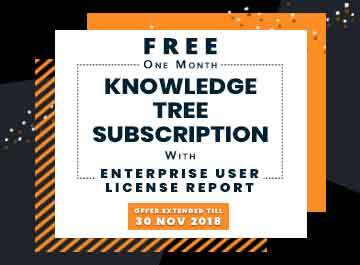 Factors, such as rise in obesity cases, growth in demand for pet insurance, and increase in animal healthcare expenditure have contributed toward the growth of this market. However, factors such as lack of animal health awareness and high cost of surgeries impede the market growth. The North America veterinary orthopedics market generated the highest revenue in 2017, owing to rise in ownership of companion animals, followed by Europe and Asia-Pacific. In addition, advancements in therapeutics and diagnostics are anticipated to drive the market growth.